So you just changed from Android to iPhone & congrats for that. iOS is an amazing platform, and you would love it. The pain you must be having right now is, to transfer your Android phone data to iPhone. Is it? If yes, don’t worry as I have you covered. I am going to share 3 methods to help you migrate Android data to iPhone. There are many users who are switching from Android Smartphones to iPhone and wanted to transfer their complete Android data to their new iOS gadget, but they couldn’t as most of them are not aware of the process. 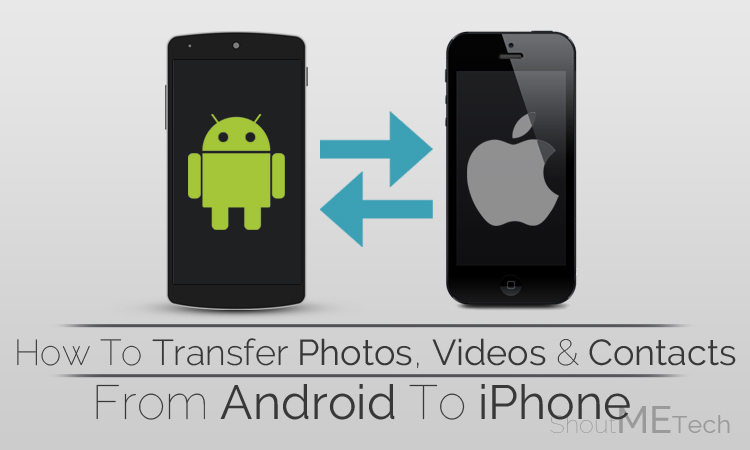 Therefore, I am going to share a detailed guide with you which will help you to learn that, “How to transfer Photos, videos and contacts from Android to iPhone?” If you are heading for this solution on different sites, then your roaming ends here as you are going to get the most helpful method here on SMT. I would simply suggest you to go through the below piece of writing and then you will be leaving all your Android data on your iPhone with complete ease. So, here are the steps that you need to follow in order to transfer different kind of data from your Android to iPhone. I would recommend you to go through the steps very carefully in order to avoid any error or mistake. Now, without making you wait more, you are requested to go through the steps that are waiting for you below. We have shared two methods for doing this; you may apply any method that may seem convenient to you. This is the first method in which you may use email address stick to your Android phone for transferring your contacts, Photos, Videos, Documents, Music and apps without installing any third-party app. So, get to the steps guys to explore more about it and get the solution. First of all, go to Settings and Click on Mail, Contacts, Calenders and then tap on Add Account and then tap on G-mail account. Now you need to give the email address that is linked with your Android device. 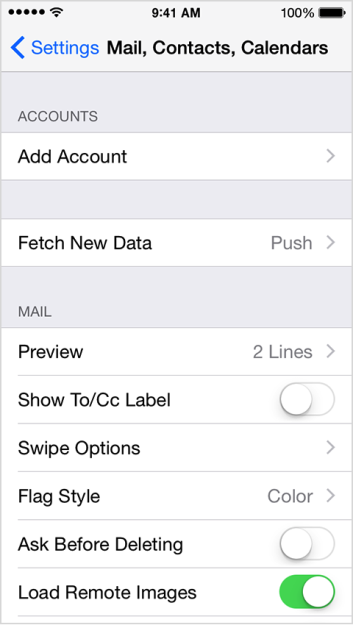 Ones you have inserted your Android email address then it will sync your data to your iPhone easily. This is the second method in which you need to use a third-party app for transferring images, videos, contacts and other data from Android to your iPhone. You only need to apply these simple steps, and you are all the way through it. This method will help you guys to transfer data from Android to iPhone over WiFi network using an app means you’ll not need a computer for the completion of this task. Note: Ensure that your iPhone and Android are connected on same WiFi network. First of all install Copy My Data on your Android from this Link. Afterwards, Ones it is installed launch it and follow the steps that it ask you to do so. Then it will transfer complete data from Android to iPhone without connecting them with your computer. The whole process will take place on your network. Then your complete data will be transferred in some minutes. Now, copy all the images, videos, contacts, emails, docs and other data that you want to transfer, on your Computer. Afterwards, unplug your Android phone and then connect your iPhone with your computer. Then you need to copy the data to iPhone – the data that you have recently copied on your computer. Now you must have got your complete Android data on your iPhone. How You transferring data from Android to iPhone? This was all which I have got for you about transferring data. I am sure that this article would have been proven helpful for you guys. If you have any questions to ask then do let me know. I shall get back to your queries shortly. Furthermore, if you have found this guide helpful and reliable then do share it with your other friends and circle too. You may never know that your share may be proven helpful for many of the users out there. So, keep sharing and liking our content over social media. 2 How You transferring data from Android to iPhone?